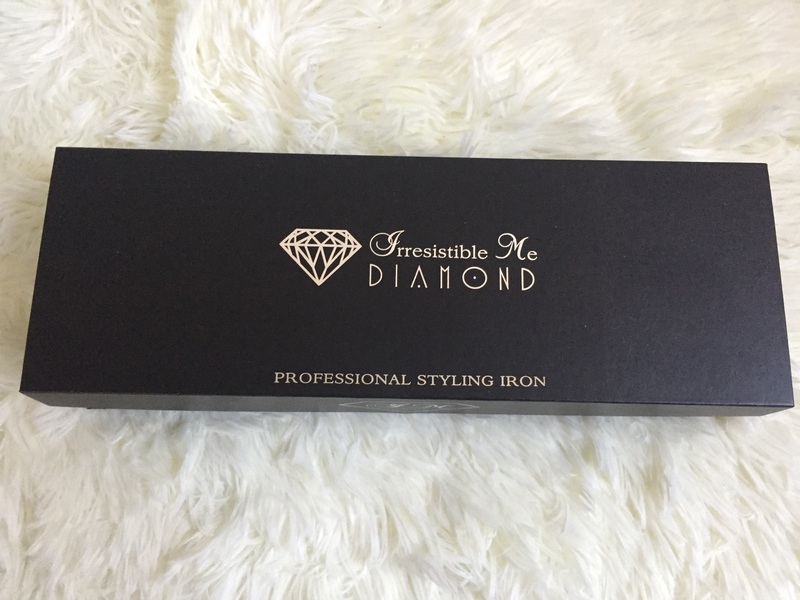 I have been testing out the Diamond Professional Flat Iron from Irresistible Me the past couple of weeks. I already have an existing huge pile of hair tools and was debating whether I need another one to add to the stack. 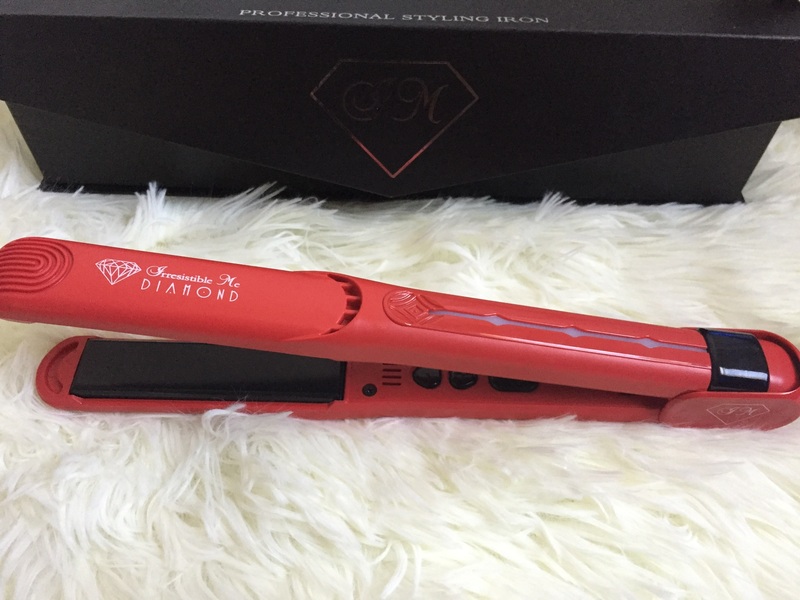 The Diamond Professional Flat Iron is marketed as the next-generation, digital, SMART styling iron featuring unique DIAMOND Hi-Tech, which coats the floating ceramic plates with crushed diamond particles mixed with tourmaline. 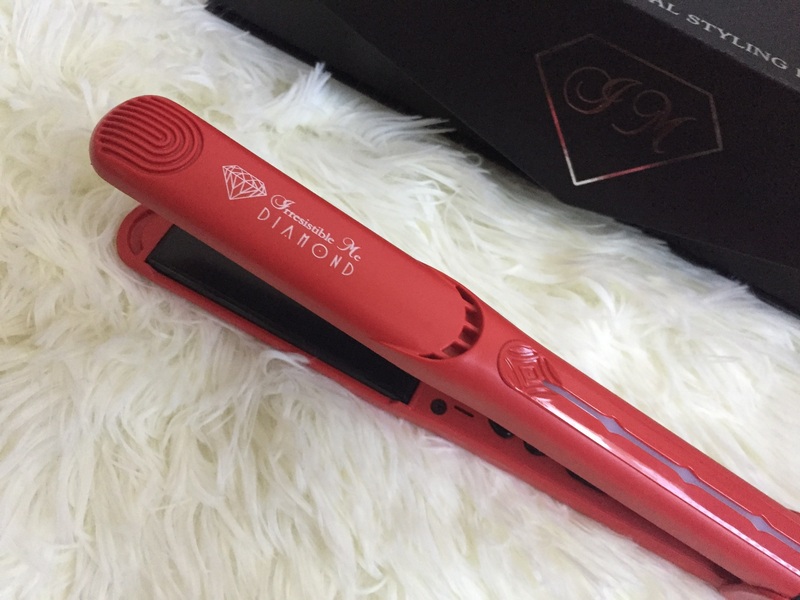 The diamond and tourmaline technology is supposed to protect your hair and keep all the natural hair oils, color and moisture in, leaving hair healthy, shiny and frizz free. The styling will last longer against air humidity and everyday stress. 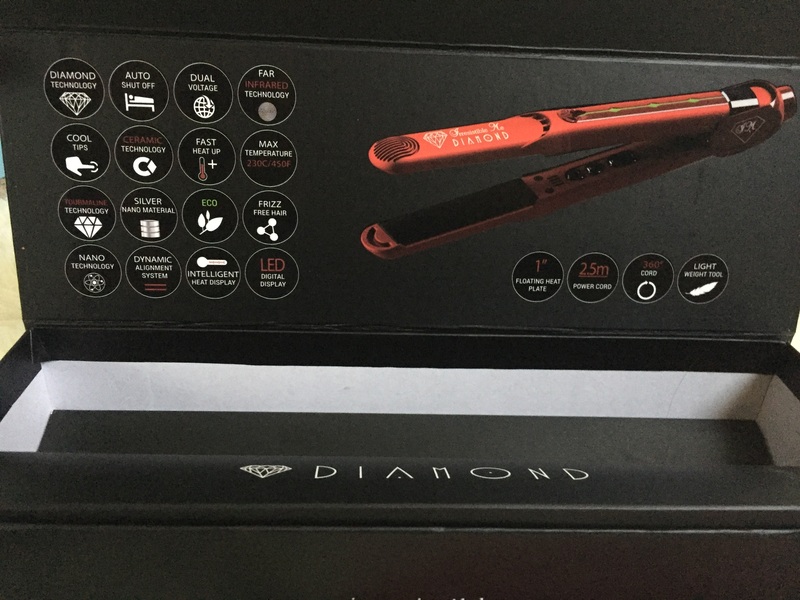 Priced at $149 (now at 30 % discounted rate of $104), this is definitely an expensive flat iron but is competitively priced with other bigwigs in the market. 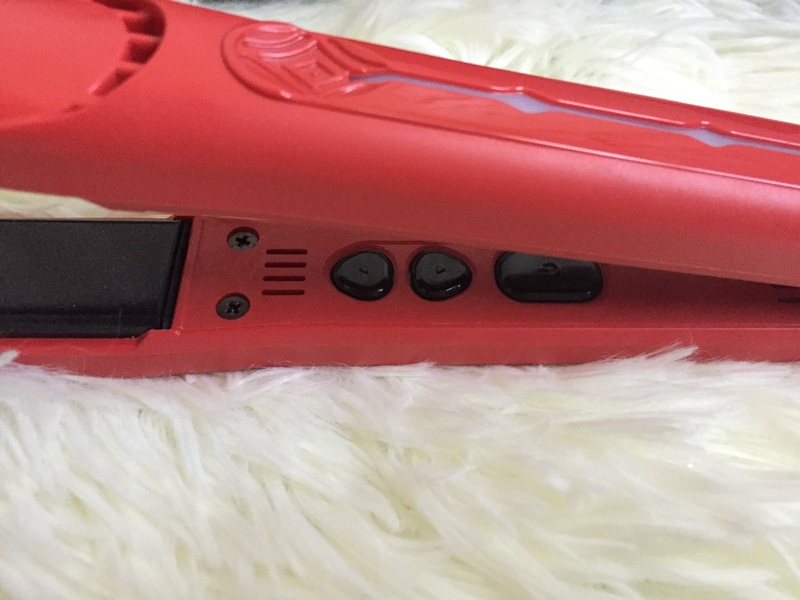 As far as the design goes, I am totally impressed with this flat iron. The switch placements inside prevents accidental settings change you might do had the buttons been outside. It has a cut off time of 30 minutes which is great if you tend to accidentally leave it on. The heating is super-fast and reaches the settings in about 10 – 15 seconds. There is tiny display screen located on the body outside. 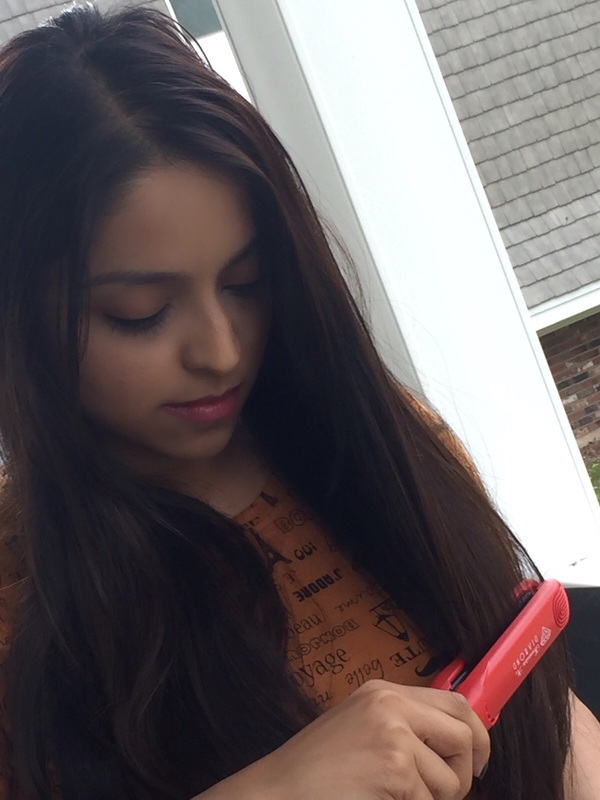 It is pretty light weight and overall is a breeze to use. The floating ceramic plates self-adjusts and glides smoothly through the hair giving ultra-smooth straight hair. 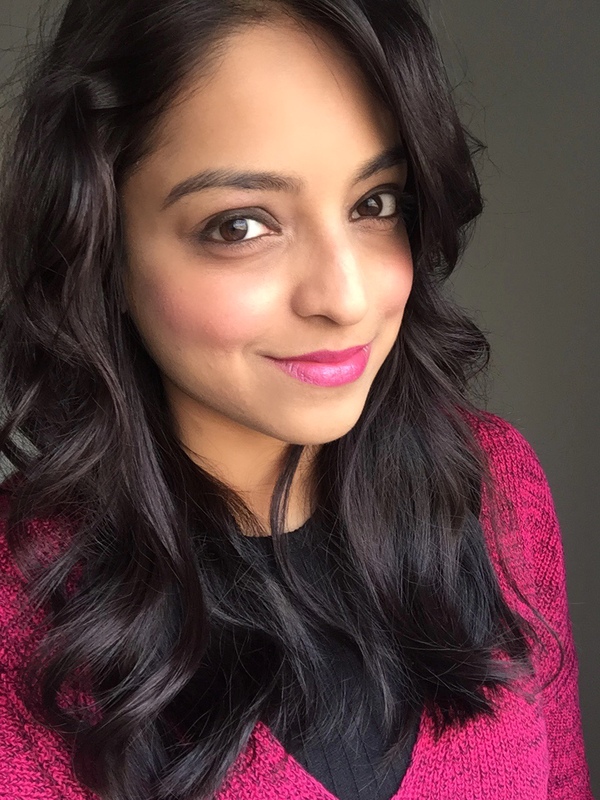 A little background on my hair, post hair wash my hair is basically frizzy with baby hairs poking everywhere once its air dried. 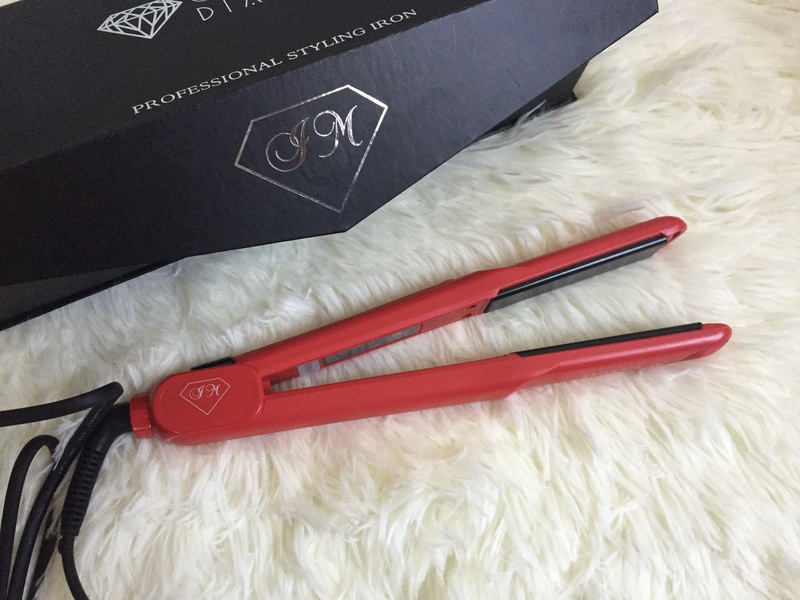 It takes me not more than 10 minutes to make them look human with the Diamond Professional Flat Iron. I prefer a more natural look but for those of you who like poker straight hair, you could put in some more time and get a more defined hair look. The hair style stays put for the day under moderate humidity. It is easy to travel with and super quick to use if you need a quick fix for your mane. Irresistible Me has kindly created a coupon code for all my blog followers. 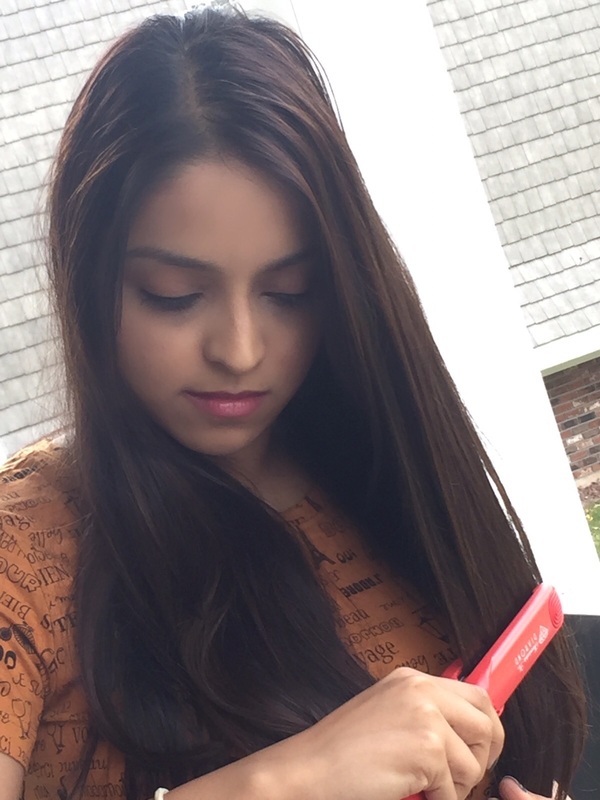 You can use the code IrresistibleJinse for an additional 10% discount.